"Chimgan" ... For the inhabitants of Uzbekistan this word is as native and familiar as a freshly baked cake or melody of a carnai. 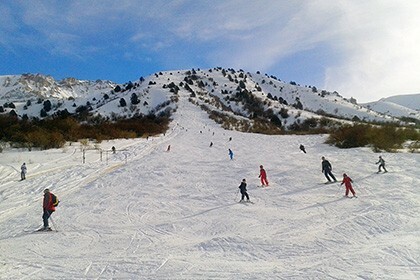 The famous ski resort is one of the most favorite places of rest for both locals and visitors. High mountains, fresh air, active recreation and entertainment - there is nothing better than a combination of all these advantages in one place. 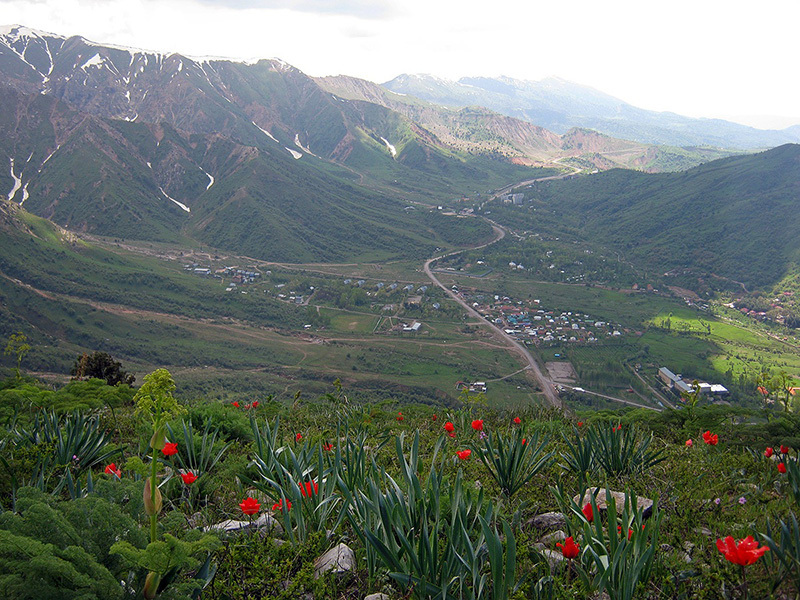 There is a modern and saturated tourist base in the mountains of Chimgan. Every year right in the middle of the season, it hosts thousands of holidaymakers and even entire families coming to rest from the city’s bustle and enjoy the cleanest climate. Chimgan camp site has such resorts and recreation areas as "Layner", "Archazor", "Nebesa", "Sky Village" and others. Having settled in any of them you can be sure that the rest will be a success, the service will be on top, and unforgettable impressions are simply guaranteed to you! How to get to Chimgan? 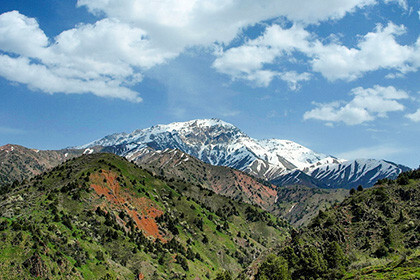 Chimgan Mountains are located about 80 km from Tashkent, and it is not difficult to get there: by train / bus / marshrutka from Tashkent to Gazalkent and from there to Chimgan by taxi. 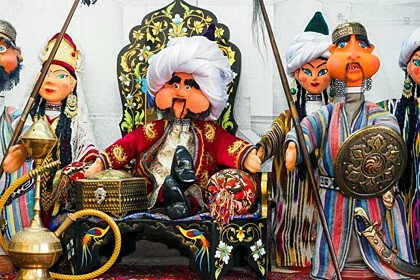 There is also a direct taxi from Tashkent without transfers, the cost of such travel will depend on the availability of fellow travelers, the time of year and, of course, your ability to bargain. What to do in Chimgan? In addition to the fact that a stay in the mountains itself has a favorable effect on the human body, it’s also good for active recreation. It is recommended for fans of a quiet lifestyle, hiking in the mountains, riding on chairlifts and ski lifts, as well as riding on horseback. For those who prefer active leisure, there is really a huge selection of sports hobbies. Fans of sports and extreme sports can try themselves in skating on the quadricycles, snowboards and of course, skis. The dream of any extreme fan and adventurer is to feel a free glide, a feeling of flight and excitement, rush from the slope towards the mountain wind and feel completely a free man. Such activities not only give pleasure, but also temper the body, as well as help in the prevention of colds and cardiovascular diseases. Spring and winter are the best time to visit the Chimgan valley for most holidaymakers. Indeed, when spring comes, a season of alpinism, climbing, flying on hang gliders and paraplanes opens, and the arrival of a snowy winter opens the long-awaited hot season for sleighmakers, skiers and snowboarders. In addition, it is the spring when real natural beauty awakens in the mountains, flowers and trees begin to blossom, the first snowdrops appear, and huge poppy fields grow closer to summer. The meaning of the word "Chimgan", according to one of the versions, is translated as "green field". In these blossoming months it is not uncommon in the mountains to meet tourists and city residents, who deliberately overcome such a distance to arrange a photo session and to capture this beauty. The tourist base includes everything necessary for a full and unforgettable stay. In hotels and guest houses there are all conditions for comfortable living: indoor and outdoor swimming pools, tennis and football fields, saunas, fitness rooms, bars and restaurants, children’s playgrounds - everything will leave only positive emotions in one’s memory and bring a real pleasure to every member of the family.